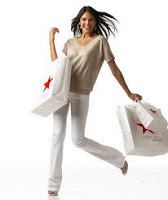 Macy's has been churning out some great sales, and it doesn't end today. They have released a Fashion Clearance with discounts on thousands of items at 50-75% OFF. Bonus: Add promo code SAVE at checkout for an additional 15-20% OFF! We're not just talking about clothing here, though that's in abundance. We're also talking about shoes, accessories, handbags, and jewelry. I am always in need of a Polo shirt, and the missus could always use a new swimsuit. How she wears out the old one I'll never know. She swims like three times a year. Click here to view the sale at Macy's. Note: Spend $99 or more and shipping is FREE.